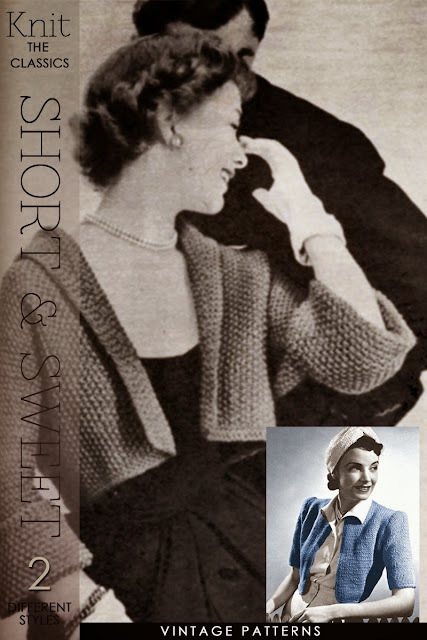 The classic cropped pullover and cardigan never really went away as you can see from the vintage styles featured further down the post. Unfortunately, gone are the days that I'm able or would want to wear a fitted short cardigan or pullover over a fitted blouse or dress. Comfort is a key component of any outfit I wear without sacrificing the end result being stylish. Cardigans that are short-sleeved, long-sleeved, or three-quarter length look very cute with loose-fitting feminine tops, and dresses. This combination is my favourite, makes any outfit look relaxed but pretty, provides an illusion of a "smaller waist" which gives me confidence. Layering shirts under a cropped pullover is another casual look that looks put together, especially by adding interesting accessories. 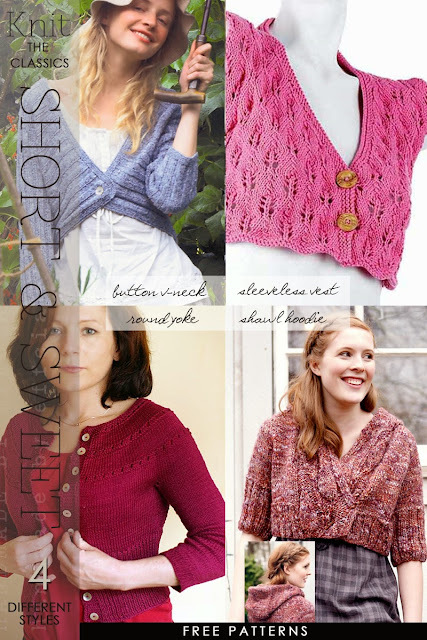 Read further for 9 free patterns in a variety of styles featuring cardigans and interesting pullovers. 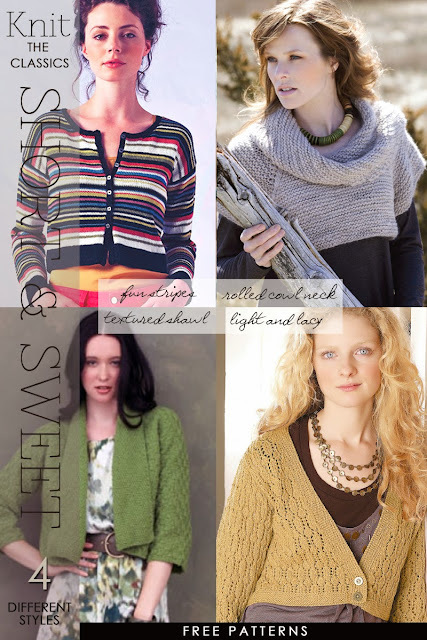 Also featured are 2 vintage patterns that look modern and very much in fashion.